Before Dempsey Hill became the chic haute hang out we know of today, it was known as Tanglin Camp. Built in the 1860s by the British to house British forces, it was later taken over by our Ministry of Defence to house local soldiers during the formative years of the Singapore Armed Forces. After being awarded conservation status, the various structures of former barracks have been meticulously renovated, transforming them into enclaves of lifestyle eateries – a huge change for what was originally a humble nutmeg plantation. 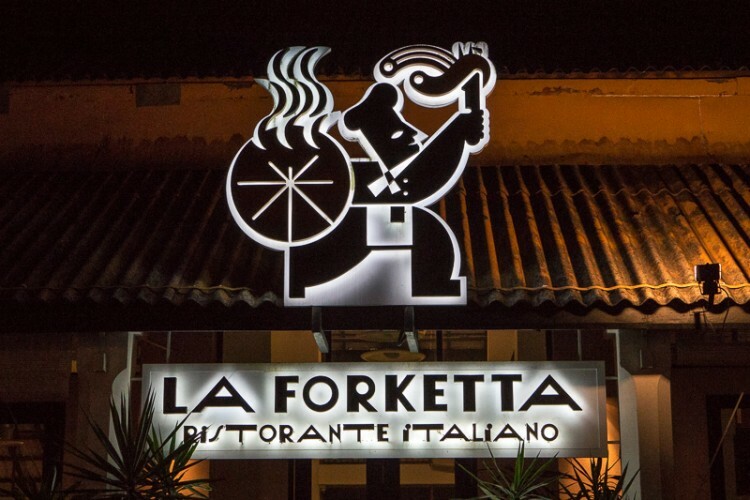 La Forketta is one such eatery housed in a former barrack. The ornate wooden beams and high ceilings have been beautifully restored and successfully integrated with the restaurant’s overall classy cosmopolitan Italian charm. Managed by an Italian couple, La Forketta is not a new player in the mushrooming Italian dining scene having been one of the pioneers (circa early 90s). They take pride in their Italian roots with ingredients (down to the flour grain) being sourced from the Mezzogiorno region of Italy. 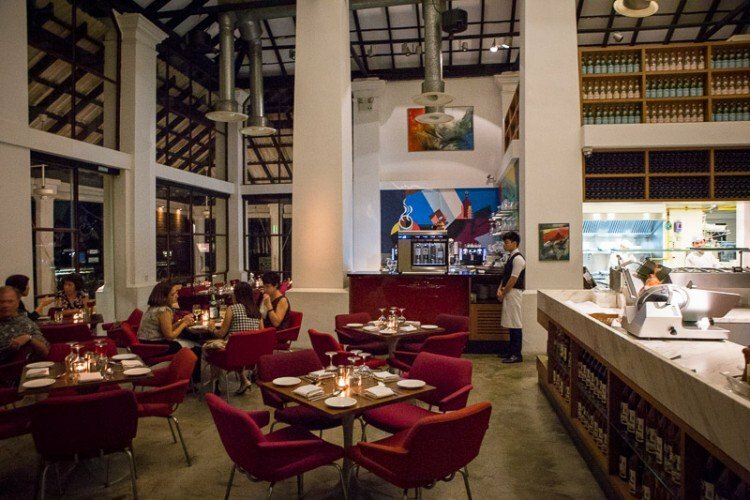 Truth be told, any Italian will feel at home in Singapore with the number of Italian-run eateries dotted around the island. 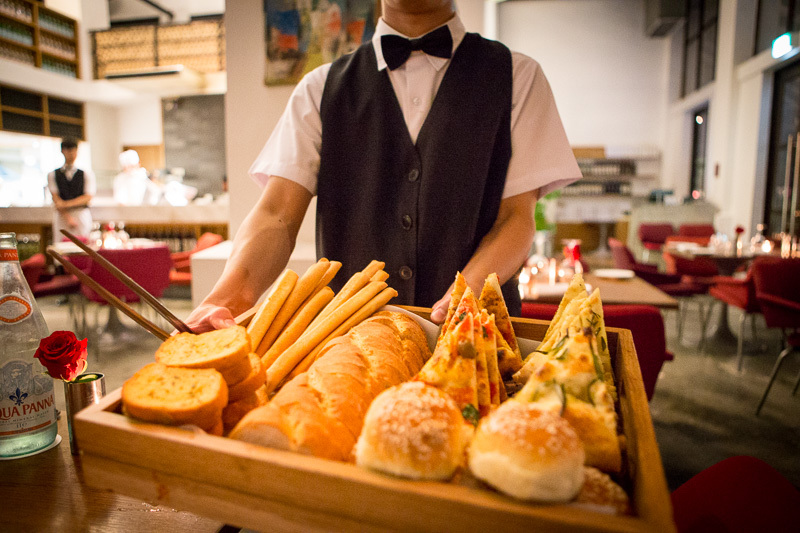 You have to try the freshly baked bread from the wood oven here. The light fluffy slices of tomato and rosemary focaccia are highly recommended, with the latter having a very herbaceous fragrance. Alternatively, go for the calzoncini or crostini and be sure to enjoy the breads with anchovies and a rich buttery spread. The breads here are all made with organic flour too. Affettati Misti ($38). An assorted platter of cold cured meats served with melon and bread, the Levoni Parma Prosciutto was the highlight of the dish – well aged with snow-white fat with a rich buttery smell, soft to chew. Messicana ($35). This is not your usual dominos pizza; made from organic flour, the pizza crust is feather-light allowing you to savour the ingredients rather than the pizza dough. Generous slices of Salami, crunchy capsicums, finely roasted aubergines, and fresh mozzarella cheese make it a sinful delight. 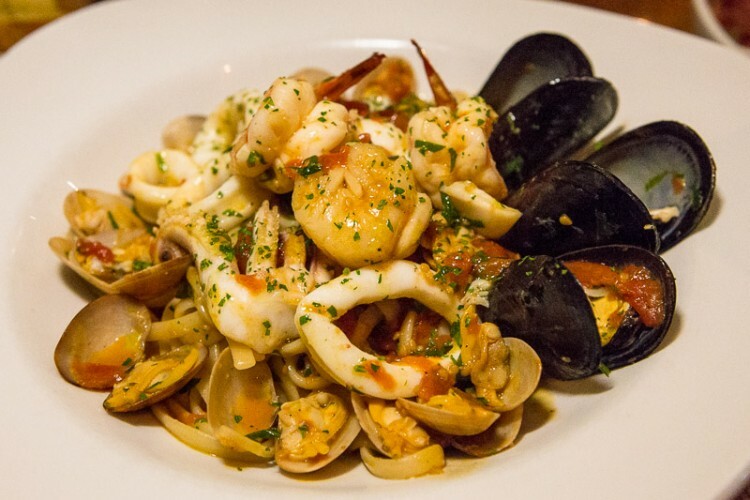 Linguine Ai Frutti Di Mare ($48). Generous servings of fresh seafood including clams, pawn, squid and scallops, the mussels were especially plump and juicy. The homemade linguine pasta is by default softer than Al Dente more to suit local taste, but you can request for its firmer version as well. The sauce is light yet flavourful, making for a very savoury meal where you won’t get too bored of the taste. 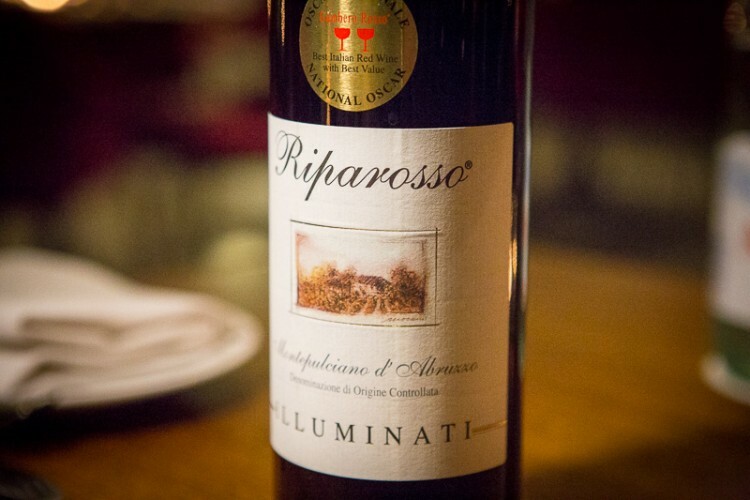 Illuminati Riparosso Montepulciano d’Abruzzo 2012, Italy ($16/gls $73/btl). Made from the Montepulciano grape, this spicy house red wine had a very earthy aroma and was food friendly with no complexities. Paired very well with the hearty dishes served. Tiramisu ($1)3. Divine is the first word that came to mind after I sampled my first bite. 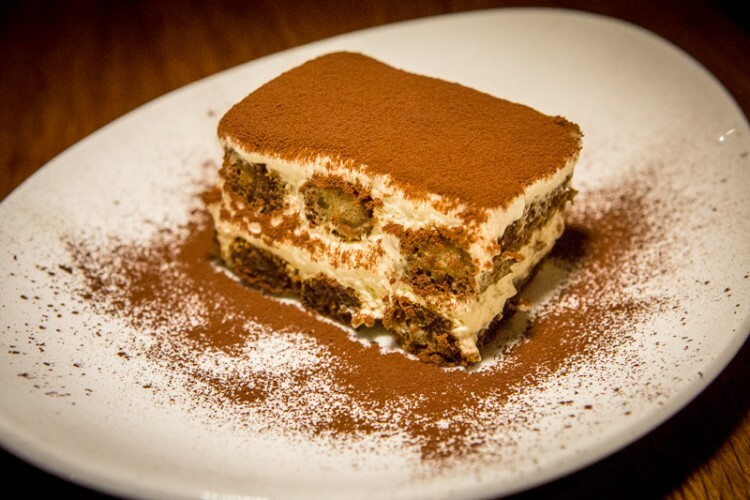 The Tiramisu is very often used as a benchmark when judging the performance of an Italian restaurant is. It is astounding that many eateries can have great pastas and pizzas but fall flat with the Tiramisu. Coffee soaked Savoiardi (aka Sponge fingers) surrounded by creamy swirls of fluffy mascarpone cream, this is a contrast to the Tiramisu puddings served in plastic tubs elsewhere. Warm Chocolate Cake ($13). Highly recommended by staff, it’s also a favourite among regular patrons. 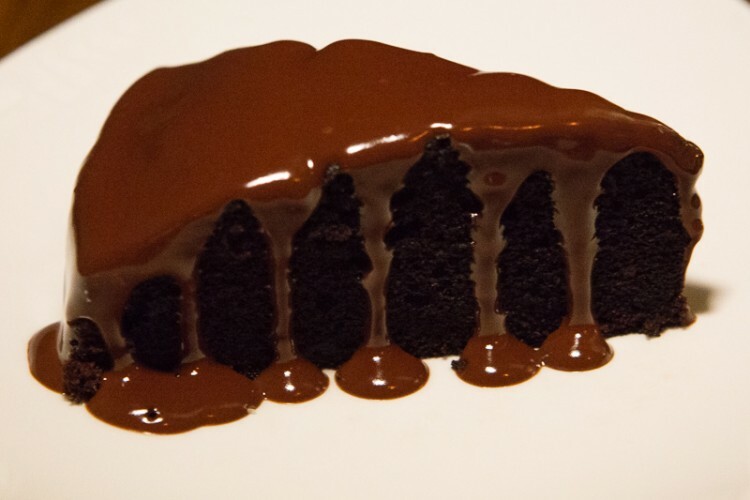 A dense moist chocolate sponge drenched in warm chocolaty sauce, it is likened by our chief writer Seth to Sara Lee cakes. The sweetness of this dish is very subdued, leaning slightly towards being bitter. 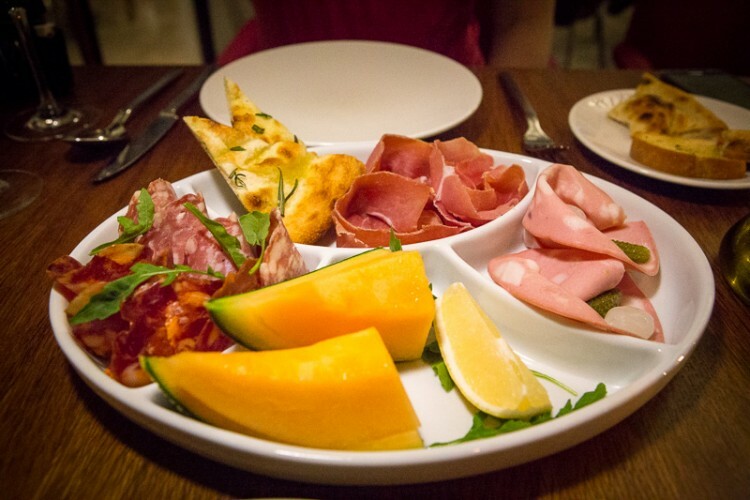 If you are looking for a fresh and elegant take on Italian cuisine, look no further. 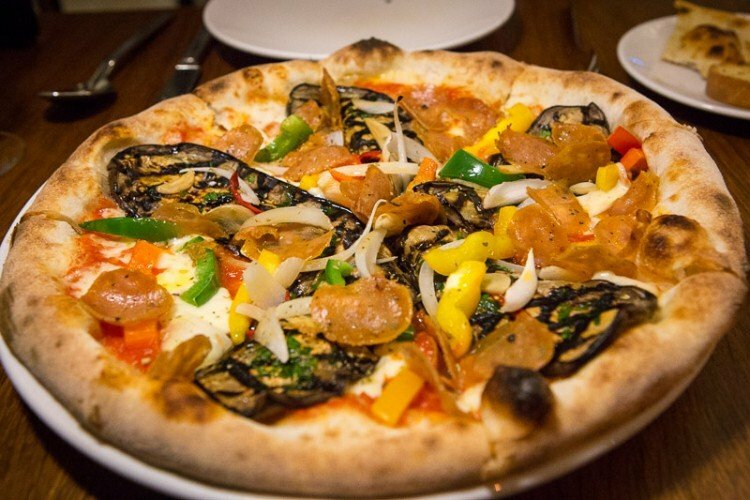 With an extensive menu of traditional Italian pizzas (not those adjusted for the Singaporean palate), I will definitely be going back to La Forketta for more pizza soon. The ambiance at Dempsey’s branch is also a recommended romantic date idea.